Lenovo sells its complete product range online. This means you will always get the latest model, built to your exact needs - delivered to your door free of charge. If you'd like to touch and feel our products, our retail partners JB Hi-Fi, Harvey Norman, The Good Guys and Officeworks stocks a select range. You can buy Lenovo products for your business from Lenovo.com or you have the option to contact one our PC experts by calling us at 1300 557 073 option 2. You can narrow down your choice based on price, screen size, processor, operating system, weight or usage. Alternatively, you always have the option to contact one of our PC experts. You can do this via Online Chat or by calling us on 1300 557 073 option 2. View our contact hours. If you cannot find what you are looking for online, please call us on 1300 557 073 choose option 4. If your order does not contain certain items that you purchased, please call 1300 557 073 option 3. If your order contains damaged items upon arrival, please call 1300 557 073 option 3. In case you have received a damaged item please contact our Post Sales team as soon as possible on 1300 557 073 option 3 or contact us via email. If you like to return a product, please call our post sales team on 1300 557 073 option 3 for assistance. Please have your order number ready when contacting the team. If at any point you require additional assistance with setting up your return, please contact Lenovo at 1300 557 073 option 3. Orders cannot be cancelled or amended after the Order is placed. Please review your Order carefully. If you need any further assistance, please consult Lenovo Post Sales team on 1300 557 073 option 3. 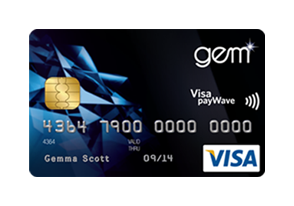 Gem Visa's and Go Mastercard 0% Interest Payment Plans are the clever way to pay, with flexible payment options catered to suit your budget and lifestyle. For more information contact our sales team on 1300 557 073 option 2. ZipMoney allows you to buy now, pay later with up t 6 months interest free. Call 1300 557 073 or Chat online with one of our sales consults to find out more. Please contact your bank. There may be insufficient funds or your account may be blocked. Once confirmed with bank please call our friendly payment team Australia 1300 557 073 option 4 to complete your payment. It happens... just call our friendly payments team Australia 1300 557 073 option 4 and they'll reverse the additional payment. None of these? Just call our friendly payments team Australia 1300 557 073 option 4 and they'll sort out the problem. We all do that every now and again. Not to worry – call or email us we'll sort out any duplicated orders in no time at all Australia 1300 557 073 option 4.